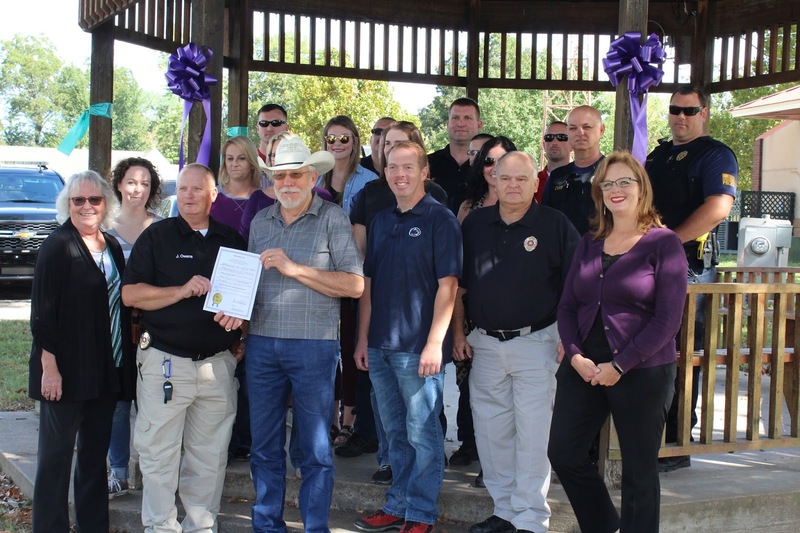 Sallisaw Mayor Jim R. Hudgens signed a proclamation Friday making October Domestic Violence Awareness Month in Sallisaw. At the signing, in front from the left, are Cindy Smith, investigator with the Sequoyah County Sheriff’s Office; Lt. John Owens with the Special Victims Unit at the Sallisaw Police Department; Hudgens; City Manager Clayton Lucas; Police Chief Terry Franklin; and Laura Kuester, Help-in-Crisis executive director. Also present, in no particular order, are Det. Lance Yoakum, Det. Blake Brunk, Lt. John Weber, Capt. Jeff Murray and Officers Mark Rutherford, Tucker Martens, Beau Welch and Todd Carr, all from the Sallisaw Police Department; Jennifer Griffey from the district attorney’s office; Sarah Ridinger from the sheriff’s office; Donna Owens and Shawna Morris from the Childrens Advocacy Center; Kim Harlin, HIC Court Advocate; and Brandi Timmerman, Cherokee Nation Indian Child Welfare. Sallisaw law enforcement officers and assistance agencies kicked off Domestic Abuse Awareness Month, in October, on Friday with a proclamation signing at Stanley Tubbs Memorial Library in Sallisaw. 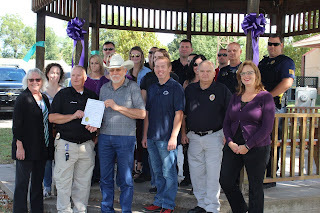 Lt. John Owens is head of the Sallisaw Police Department Special Victims Unit (SVU) and Mayor Jim R. Hudgens signed the proclamation making October Domestic Violence Awareness Month in Sallisaw. Owens pointed out that domestic abuse is the second highest crime reported in the city. Cindy Smith, investigator with the Sequoyah County Sheriff’s Office, reported Oklahoma is no longer among the top three states reporting domestic abuse, indicating progress against the crime is being made. Owens said the police department’s unit raises funds to help those who find themselves in domestic abuse situations. The Special Victims Unit can provide safe lodging, food and even transportation out of the situation if needed. 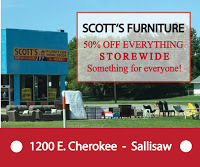 To fund the assistance a barbeque dinner will be held Oct. 20 at the Sallisaw Civic Center. More information about the event will be released later. Smith said the Sequoyah County Coordinated Community Response Team, SVU, Help-in-Crisis Center and One Fire from the Cherokee Nation will sponsor a spaghetti luncheon from 11 a.m. until 1:30 p.m. on Oct. 13 at the Sallisaw Civic Center. 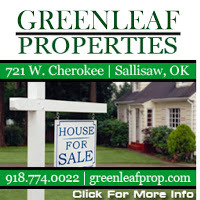 Other events include a rally at 6:30 p.m. Tuesday at the gazebo followed by a glow-stick walk through downtown Sallisaw. Sequoyah County Commissioners are also expected to sign a proclamation designating October as Domestic Abuse Awareness Month in the county.